A conceptual drawing of the L.E. Phillips Memorial Public Library with potential additions. A project to expand and remodel the L.E. Phillips Memorial Public Library in Eau Claire should aim to raise $7 million from private donors instead of the $11.5 million originally proposed, a consulting firm told the library board recently. In a 59-page report, Minnesota-based Crescendo Fundraising Professionals said donor fatigue resulting from other large community campaigns – including the successful effort to build the Pablo Center at the Confluence as well as anticipated future efforts – had made $11.5 million too difficult to raise. In addition, numerous in-person interviews, a focus group, and an online survey failed to identify any major lead donors, Crescendo’s report stated. On the positive side, the consulting firm found that 80 percent of interviewees said they would consider a gift toward the project, and that a survey found an “astonishing” level of support among potential grassroots donors: 288 respondents said they’d give $1,000 or less, and a successful campaign could raise the amount of some of these gifts. In addition to private fundraising, the project will receive $11.5 million from the City of Eau Claire. 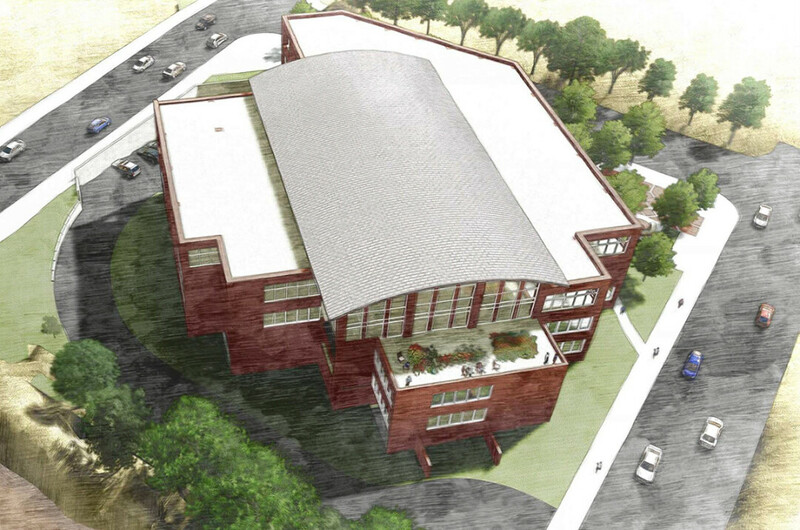 The proposed project would add a third floor to the library as well as expanding the first and second floors, possibly eliminating the current below-ground parking area. Learn more about the project and read the report at ecpubliclibrary.info/building.